The age of dinosaurs and large marine reptiles like the basilosaurus and shastasaurus are long gone. However, even after millions of years, marine reptiles are still quite threatening, despite the fact that they no longer reach 20 meters of length like the shastasaurus or 12-15 meters of giant pliosaurs. Species like the Indo-Pacific sea crocodile or the yellow sea snake remain the largest marine reptiles known today. Although there are still claims that some prehistoric marine creatures might exist in the depths of the ocean, reptiles’ inherent need of breathable air and sunlight makes them an unlikely candidate for fitting the profile of illusive sea monsters that are not yet extinct. Since there is no evidence of prehistoric reptiles having survived until today, some of the only truly large marine reptiles currently in existence are saltwater crocodiles, sea turtles and sea snakes. Sea snakes are generally long and thin reptiles that have evolved from land snakes over the course of millions of years. The largest sea snakes measure up to 150 cm, however, the species known as hydrophis spiralis, or yellow sea snake, can reach a length of up to 2.7 meters, uncommonly large compared to other sea reptiles. Sea turtles can also grow to a larger size. The largest species of sea turtle is the massive leatherback, measuring up to 2,000 pounds in weight. The largest specimen ever found was discovered on a Pakistani beach, and measured about 2.13 meters in length. By far the largest and most impressive sea reptile today is the saltwater crocodile. This species of reptile is considered to be the largest riparian predator in the world today, and its size can vary between 4.2 meters and 4.7 meters in length on average. On rare occasions, adult males can grow up to lengths of more than 6 meters, with the largest confirmed specimen having been measured at 6.2 meters. Scientific estimates also show that Australian saltwater crocodiles are among the largest in the world, believed to reach a weight of 2,000 kg or 4,400 lbs. 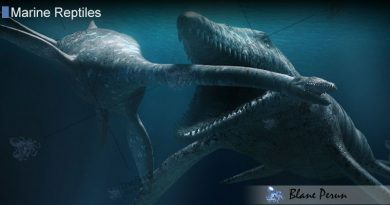 Like dinosaurs, prehistoric marine reptiles were also extremely large, often reaching sizes of 10 to 20 meters in length, and many of them being classified as predators. 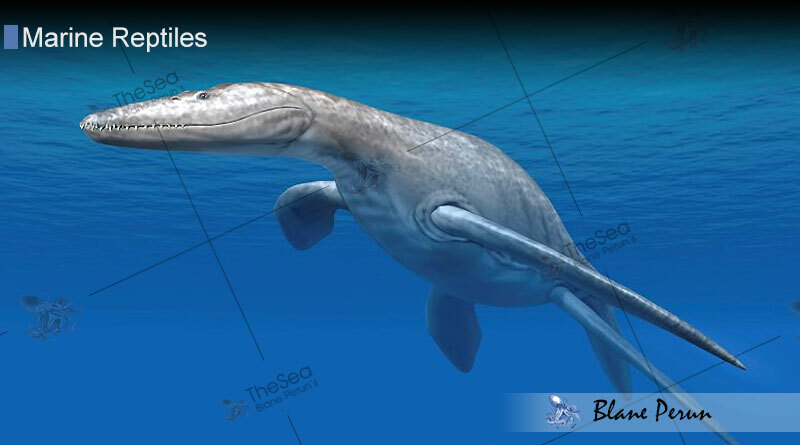 The first marine reptiles evolved in the Paleozoic era. Larger marine reptiles mainly appeared in the Mesozoic era, in the form of sauropterygians, sea turtles, ichthyopterygians and mosasaurs. Despite dominating the seas over the course of hundreds of millions of years, many of these species have died out, and were replaced by their much smaller descendants. Today, out of the approximately 12,000 species of reptiles only about 100 remain marine reptiles, the largest of which are the saltwater crocodiles.